The staff of the Advanced School for Girls. 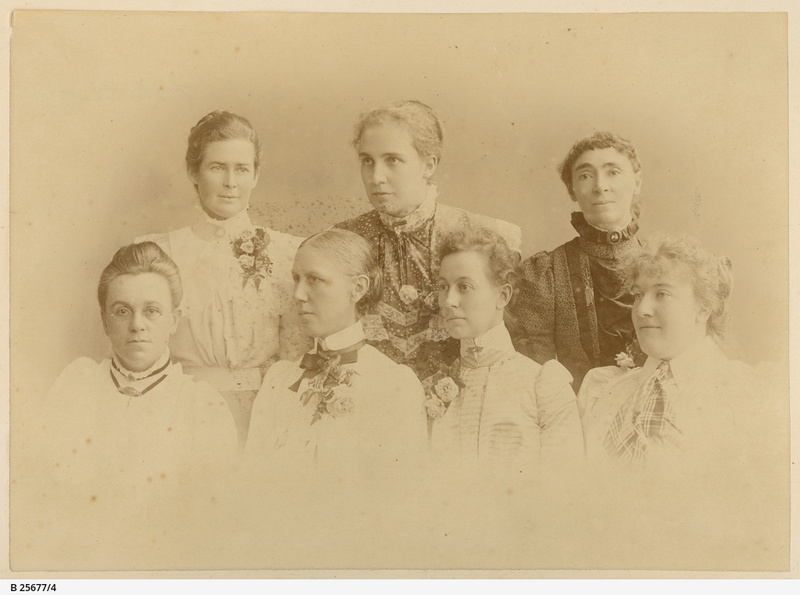 Back row (from left): Miss M. Maughan, Miss Ethel Holder, Miss Ellen Lewis. Front row (from left): Miss Marion R. George, Miss M. Rees George (3rd headmistress), Miss C.E. Sells, Miss K. Cooke (Mus Bac. ).